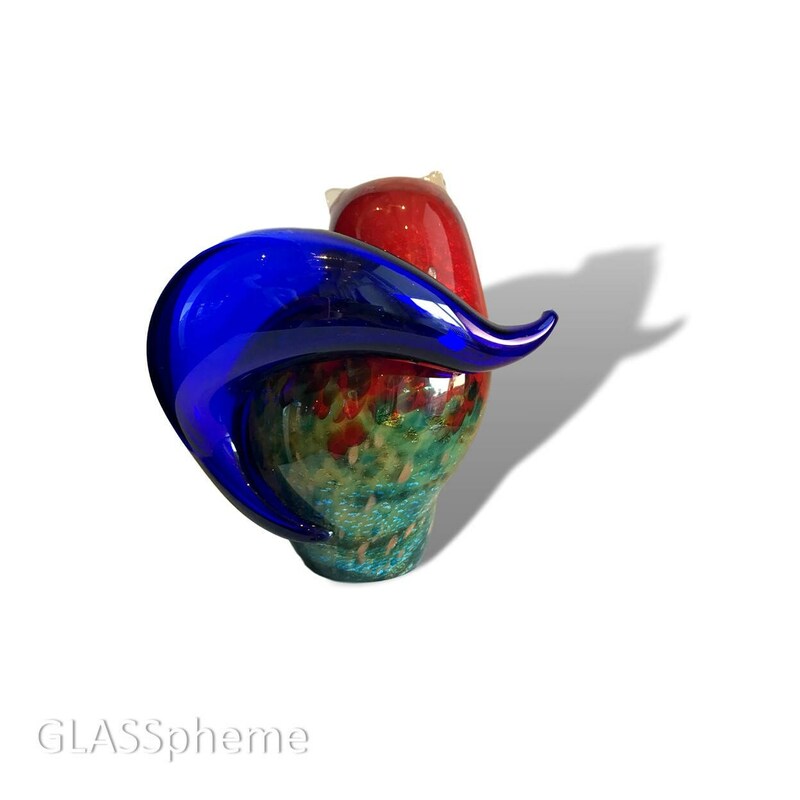 This spectacularly bright and vivid stylized glass cat by Murano's Franco Moretti (see label on base) is a joyous multi-colored melange of Murano glass themes. 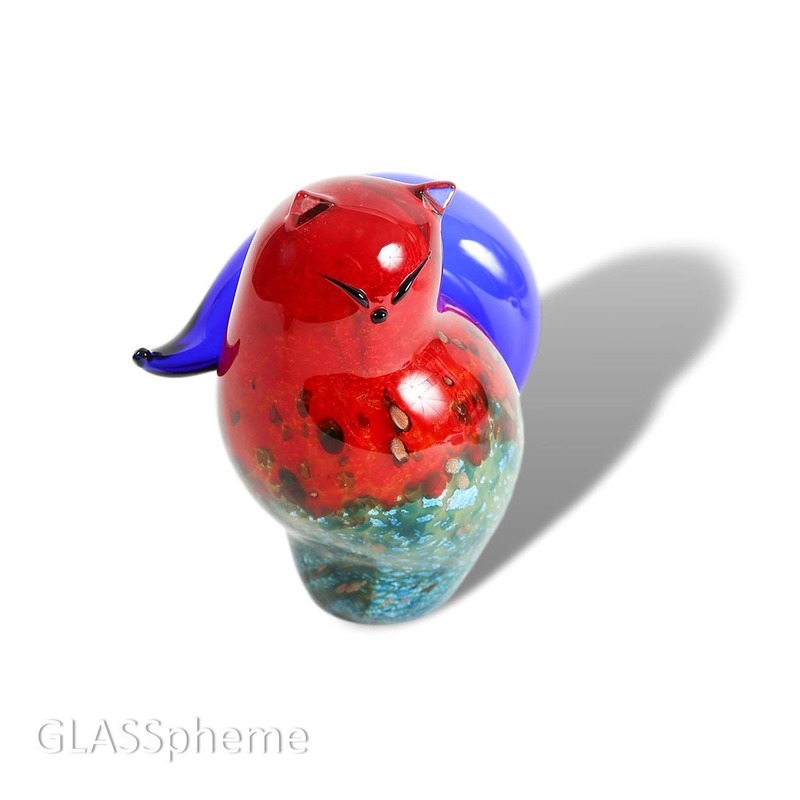 The body of the cat is done in a red over lattimo glass base strewn with murrines and shiny flecks of silver, gold, and blue with a clear glass layer on top. 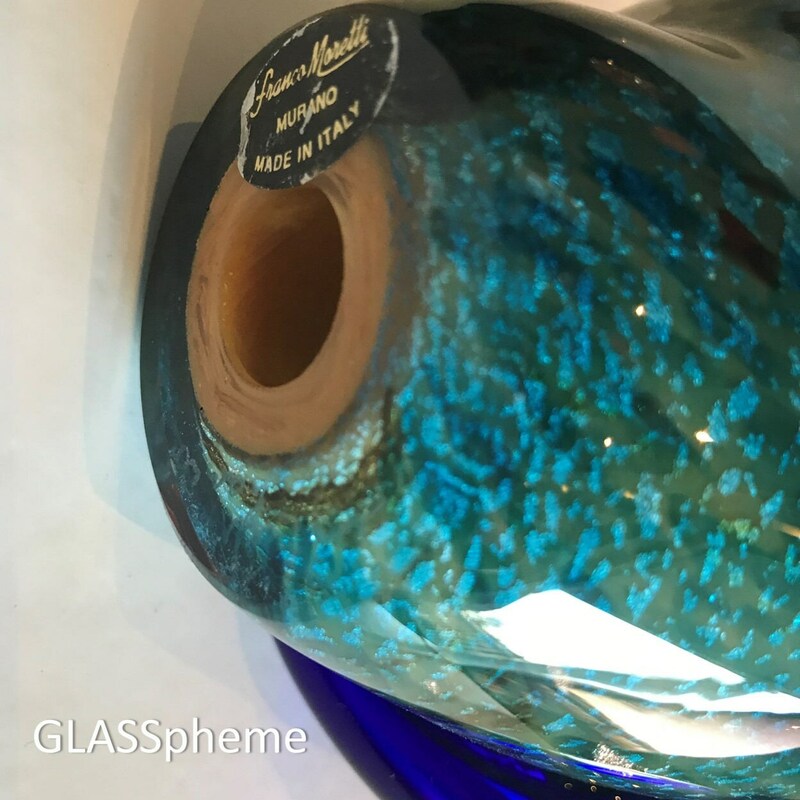 The tail, purely transparent blue glass, seamlessly emerges from the body and swoops gracefully behind it. An interesting beautiful piece, period of manufacture unknown, but probably late 20th century.